Towards the end of the summer I noticed my hip was getting sore again, and I wasn’t sleeping so well. This puzzled me, especially as I’d had plenty of time off on the west coast, spending much of it outdoors enjoying time with our daughter and grandson who’d been staying with us for a couple of months awaiting their house move. A week ago they moved to their new home and our house was suddenly very quiet! With more time to myself I became more aware of my uncomfortable hip, poor sleep and tiredness. Simultaneously, I had more time for my twice daily Tai Chi practice which I’d skipped some days. And I became aware that while I’d spent a lot of time outdoors, much of it had been at a 3 year old’s pace, rather than my usual brisk walks. So I restarted my Tai Chi and my daily walks with a vengeance, and lo and behold within a couple of days my hip eased off, my sleep improved and my energy level recovered! It seems that sometimes I need to stop a practice to become aware of the benefit it gives me! 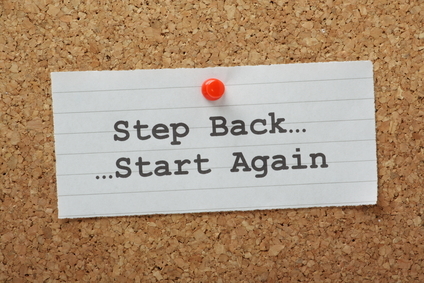 I wonder if you have a practice that’s slipped off your radar that it would be worth starting again?